Dejan Govedic opened to 65,000 from the cutoff. On the button, Xanthopoulos shipped his remaining 430,000 in and Govedic called. 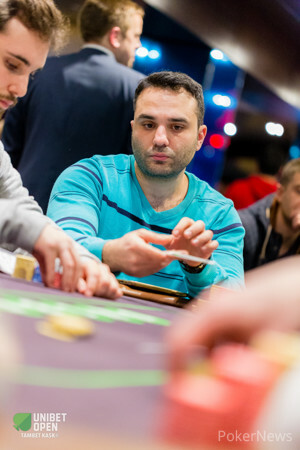 The Greek WSOPE bracelet winner blanked out on :::5h:::5s:::3s:::Jh:::7d and headed to the rail in 11th place.